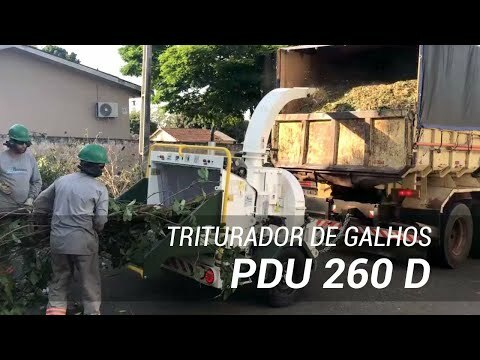 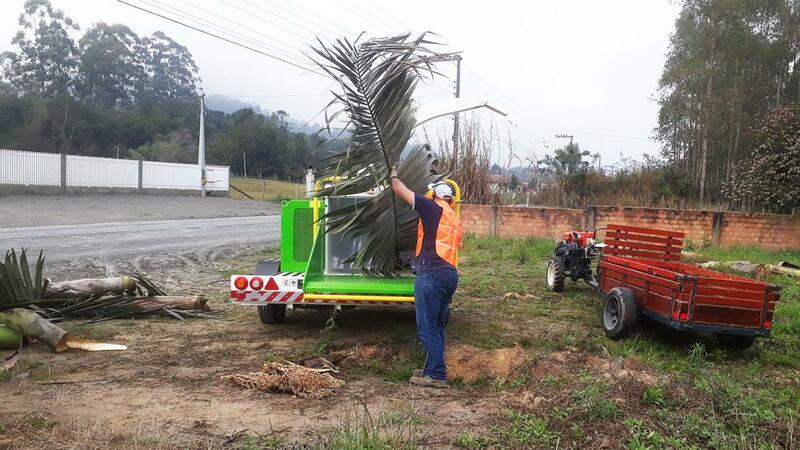 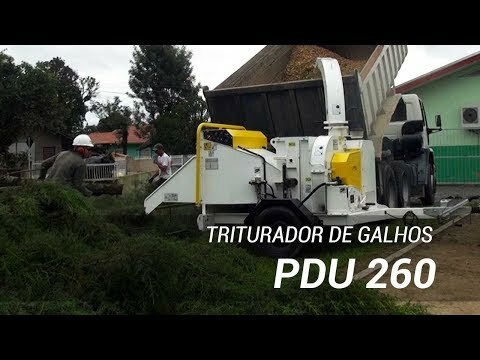 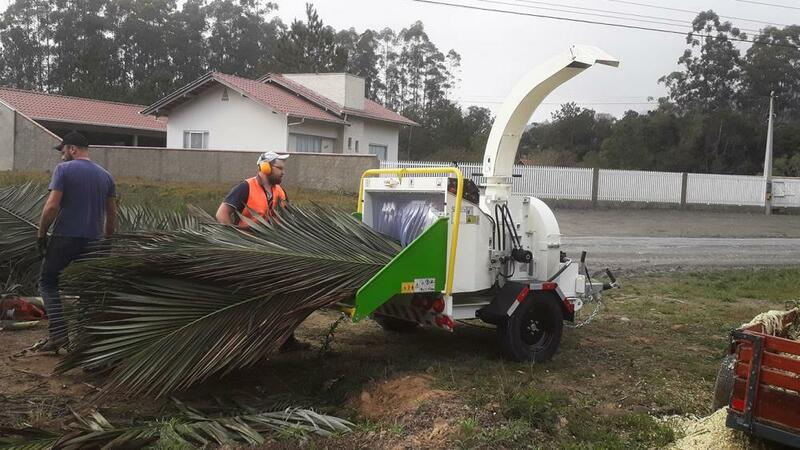 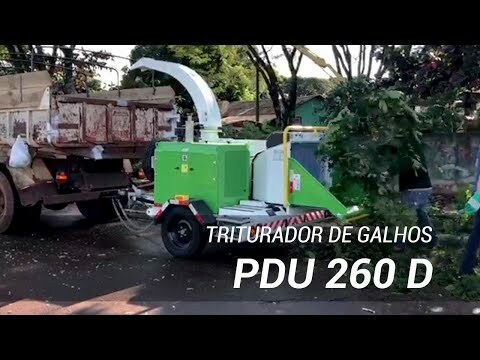 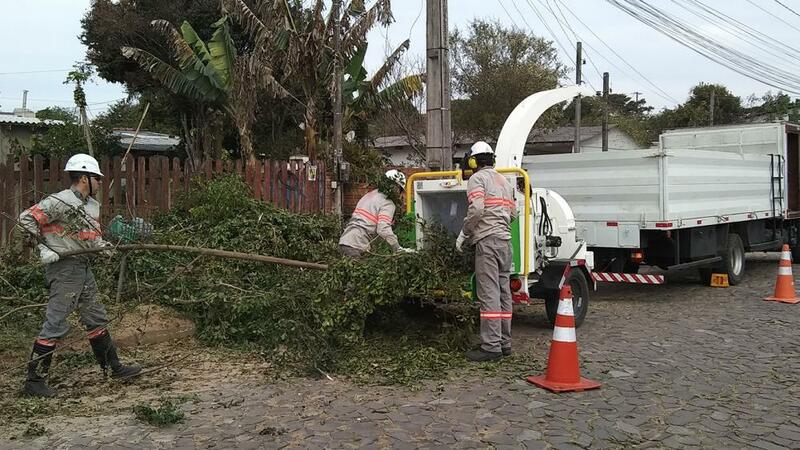 The PDU 260 D Diesel Engine Urban Disc Chipper is a shredder designed to eliminate the difficulties in handling tree waste. 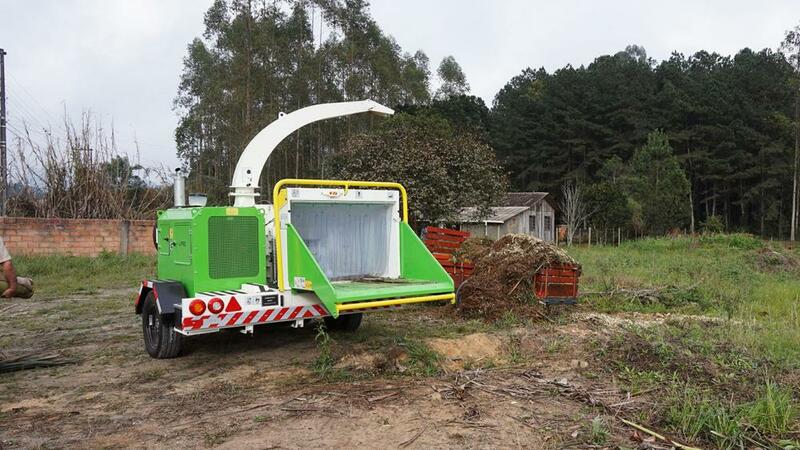 It has a wide feeding mouth and chute, capable of crushing bulky materials thanks to its "no-stress" self-feeding system that guarantees smooth and steady operation, even with more resistant materials. 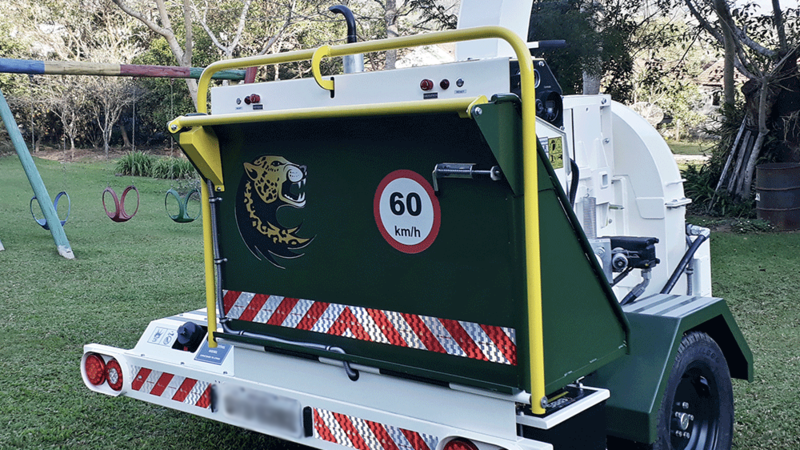 They are equipped with sharp two-sided knives, large tractor roller, clutch system, feed rail, safety bar in four positions, plus brake system. 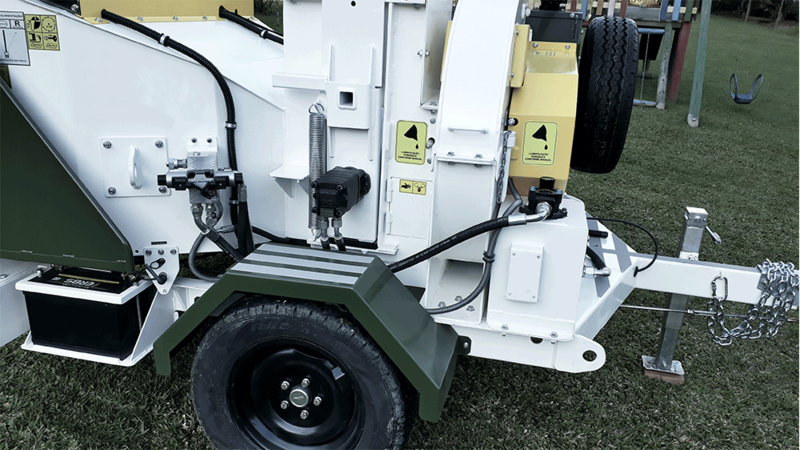 They also have an independent hydraulic system, which guarantees their autonomy as a mobile unit. 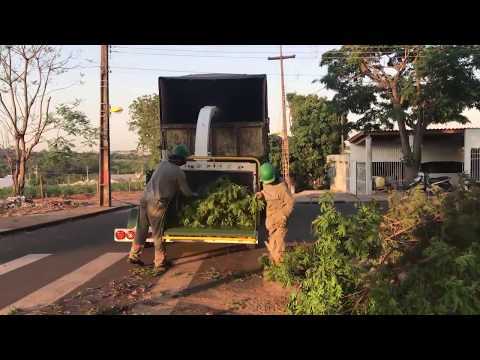 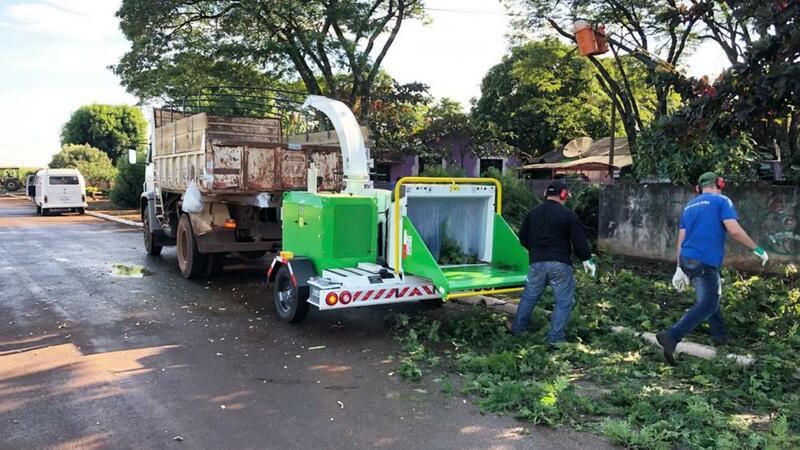 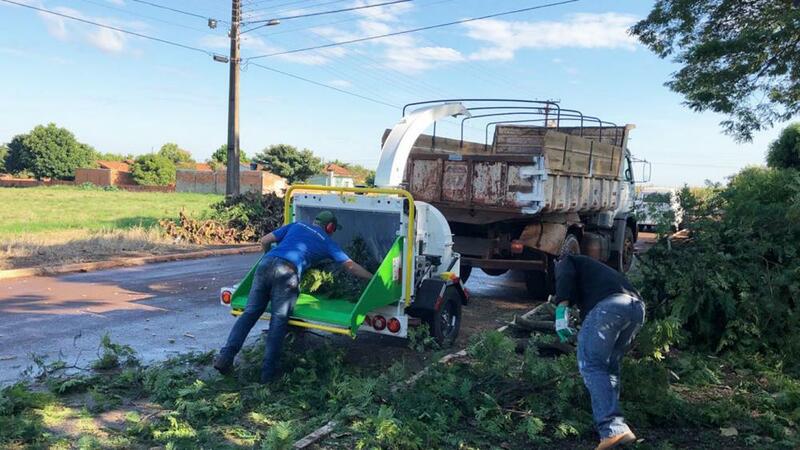 Ideal for cleaning urban roads, green areas and disposal for the recycling of pruning, twigs and round woods. 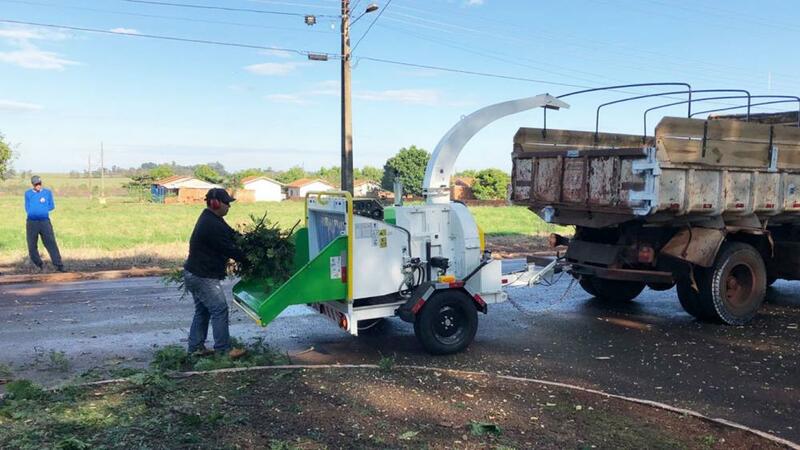 The crushed material achieves a reduction of up to 80% of the accumulated waste volume and can be used in fertilization, composting and landscaping. 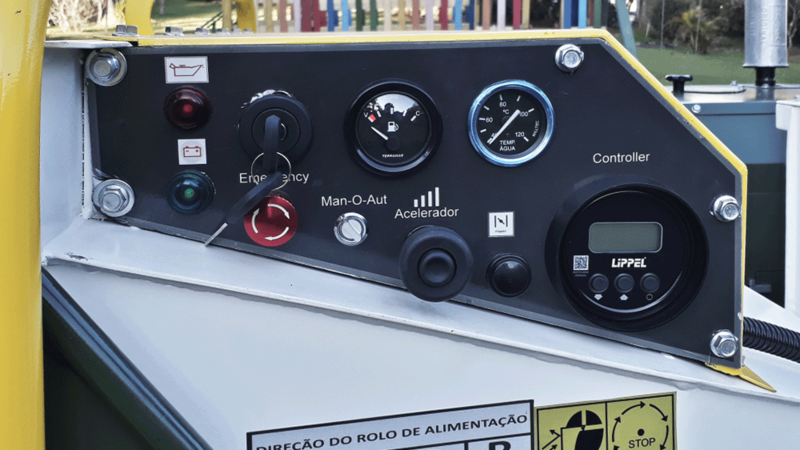 • No-Stress - Automatic management of the motor rotation index in relation to the power supply. 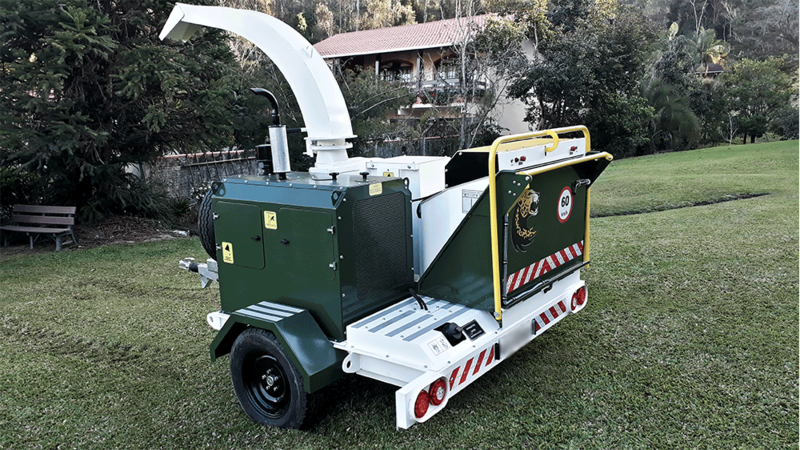 Chassis optimized for transport in accordance with the rules of transit and road signaling. 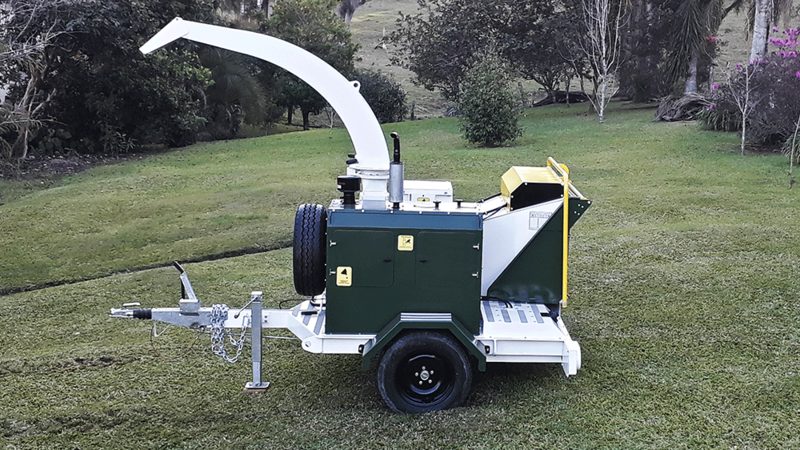 Dynamically balanced disc with 02 double-sided, editable and reversible blades. 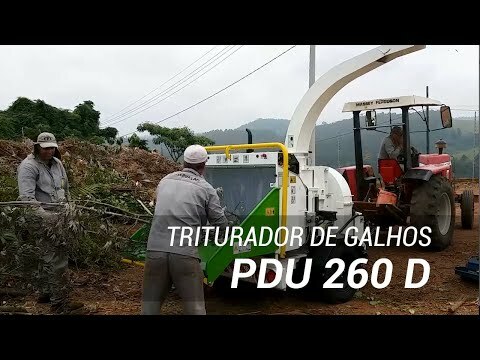 Automatically controls the rate of rotation of the motor in relation to the power supply of the equipment.